I want to carry this cartoon in my pocket and whip it out at awkward moments. So, now on top of all the Jewish reading I’m doing (or not doing), I’m reading Moment Magazine. 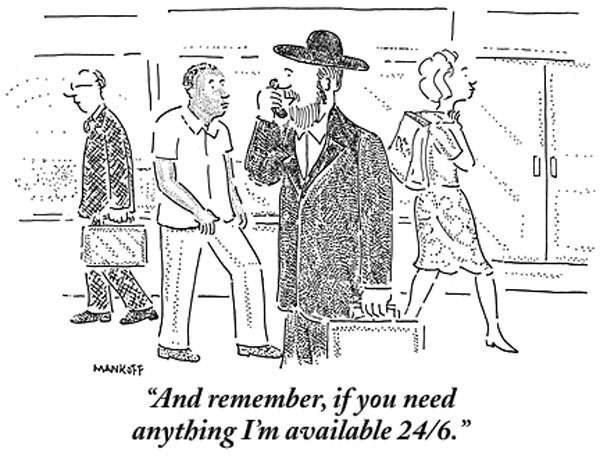 Yeah, yeah, I should be reading Torah but check out this interview with cartoonist Robert Mankoff telling us all why Jewish humor is unique. Previous Post Sukkot is here! Hooray! Next Post Support "Outside The Box"